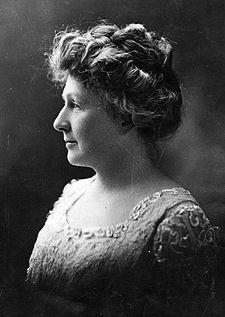 Annie Jump Cannon was born on December 11, 1863 in Dover, Delaware, the first of three daughters. Her father, Wilson Cannon, was a shipbuilder and a Delaware state senator. It was her mother, Mary Jump, Cannon's second wife, who sparked young Annie's interest in astronomy when she taught her the constellations. Cannon was hard of hearing, but she was able to attend Wilmington Conference Academy and then Wellesley College, in Wellesley Massachusetts where she studied physics and graduated in 1884. The cold weather of Massachusetts left Cannon often sick and one winter she suffered scarlet fever, which left her deaf in one ear. At Wellesley she also learned the new art of photography. After graduation, with few jobs available to a woman and none that interested her, she returned home. In 1892 she traveled to Europe and with her box camera. The pictures that she took were used to make a book In the Footsteps of Columbus, that was sold as a souvenir at the 1893 Chicago World's Fair. In 1894, after her mother's death, Cannon returned to Wellesly as a graduate student in astronomy. In 1895 she went to Radcliffe College in Cambridge, Massachusetts as student assistant. She received her M.A. from Radcliffe in 1907. In 1896 she was hired by Charles Pickering, the director of the Harvard Observatory, to classify stellar spectra. Pickering was in charge of the project creating the Henry Draper Catalog, a catalog of stellar spectra and had hired a group of women, because their salaries were cheaper then men, to do the calculations necessary to determine the position of a star. Not long after the project started there arose a question of how to classify stellar spectra. Williamena Fleming ,who was in charge of the group of women working for Pickering, wanted a simple classification system and Antonia Draper, the niece of Henry Draper, wanted a more complex system. Cannon incorporated the work of these women in developing her own system, which became the Harvard Stellar Classification System. The letters O,B,A,F,G,K,M (memorized by astronomy students using the mnemonic "oh be a fine girl/guy kiss me") are the classification system developed by Cannon, starting with O for the hottest, blue-white stars, B for blue stars, A for white stars, F for yellow-white stars, G for yellow stars, K for cooler orange stars and M for the coolest red stars. This system, with some modifications, is still used today. Her work, with classifications of 225,000 stars, was published in the 9 volumes of the Henry Draper Catalog. In 1911 Cannon succeed Fleming as the curator of astronomical photographs at Harvard Observatory. In 1938 she was named the William Cranch professor of Astronomy. She was the first woman to receive a doctorate in astronomy from Groningen University in 1921 and the first woman to receive a honorary doctorate from Oxford in 1925. In 1931 she received the Henry Draper Medal from the National Academy of Science. She was the first woman elected as an officer in the American Astronomical Society and has a crater on the moon named for her. The Annie Jump Cannon prize is awarded every year by the American Astronomical Society for outstanding contribution by women astronomers, within five years of their doctorate. She retired in 1940 but continued working at Harvard Observatory. She died on April 13, 1941.